Dear mummy, pheweee! What a weekend! It’s been non-stop and not the relaxing weekend we hoped for at all. 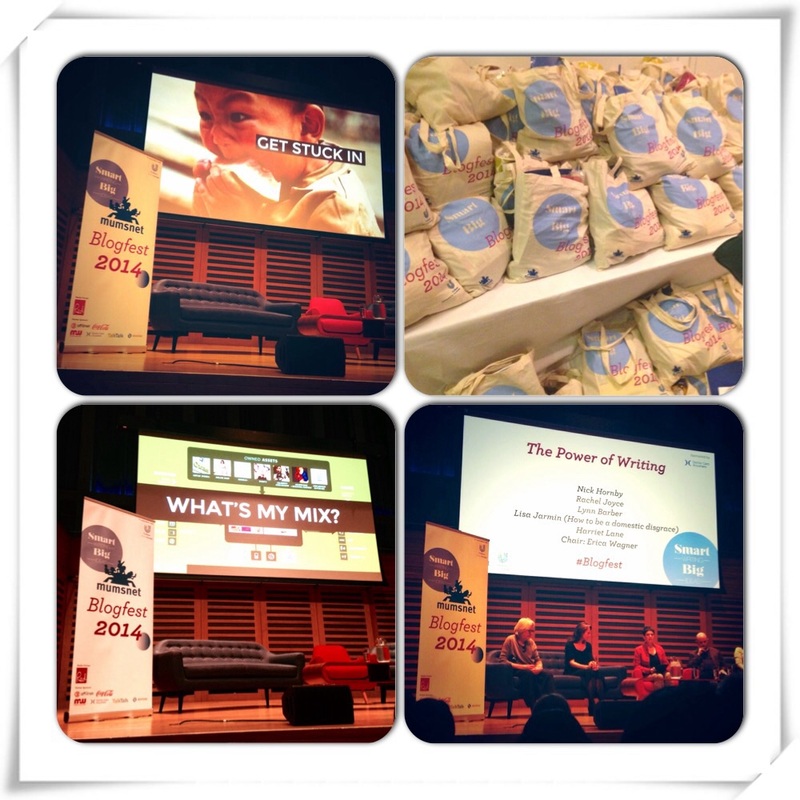 My mummy attended her first Mumsnet BlogFest on Saturday in the big smoke and came back feeling mixed about the whole thing. Why you may ask? It’s not as if she paid to go, surely it’s like looking a gift horse in the mouth? My mummy is not ungrateful at all and had a lovely, quick catch up with her fairy godmother Karen @Minitravllers to say thank you for the free ticket and she passed on her thanks to Alice @skimlinks too. However, she came back with a feeling like she didn’t belong in this world of professional blogging. It all started at the beginning of the day, butterflies in her tummy on the cold dark platform waiting to get the train up to London, leaving me behind for the whole day and feeling guilty for doing that. She wasn’t off to a great start and was worried about what she was letting herself into. Thankfully she met another fellow blogger at Waterloo, Amy, who was nervous about crossing London on the tube and getting lost, so mummy offered to help her navigate the dark tunnels of London. 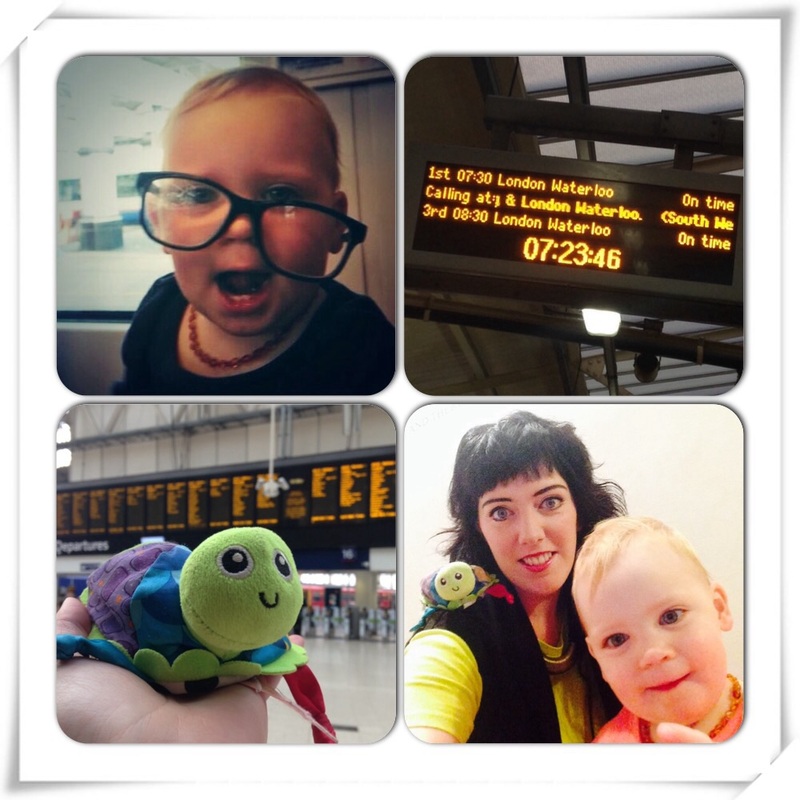 It all seemed a bit rushed and hectic as she joined up with some more mummy bloggers at Kings Cross station, they seemed friendly enough, even though they hadn’t planned to meet her and hadn’t a clue who the hell my mummy was! Awkward smiles and exchanges about the event were made, but my mummy still felt out of the loop and that she was hanging onto other people’s groups of friends. 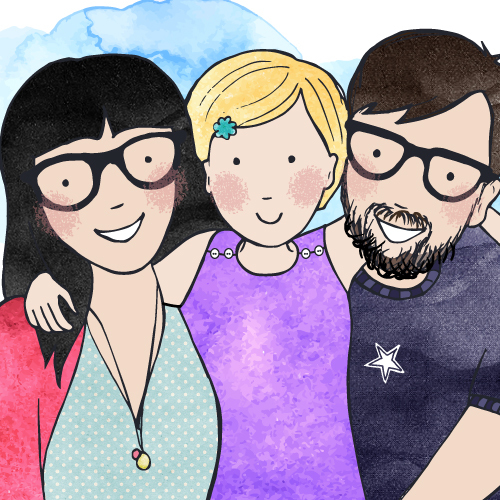 It was like being back at school and my mummy didn’t like it, she felt like the odd one out – on the fringe, so broke away trying to find other bloggers who were on were on their own and strike up a conversation. 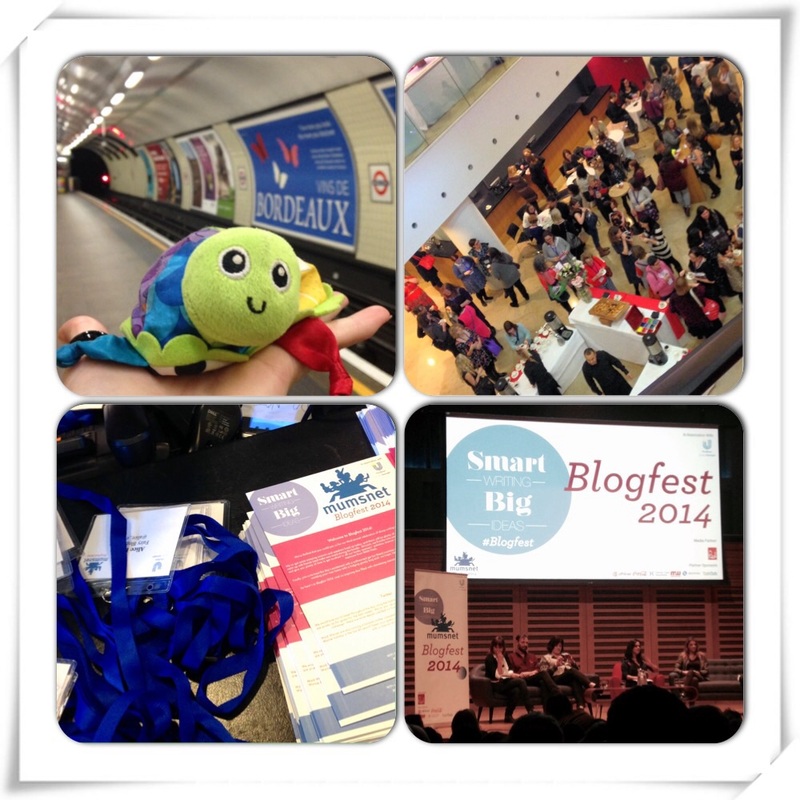 Blogfest was held at Kings Place and was massive and as she travelled down the escalators my mummy was overwhelmed by how busy it was. Mumsnet had laid on coffee, tea and pastries but she hardly had a tea or anything before the breakfast session was over and everyone was ushered into the main hall for the welcome talk. It’s was so busy and the air was buzzing, lots of chatter and laughing, tweeting and photographs were taken. For the first time mummy felt like she was part of something important but maybe still out of her depth. See, my mummy is only a part-time blogger, it’s not her intention to take her blogging to the ‘next level’ or to make a profession out of it like some others she met. She felt like a fraud too, my mummy is not a writer, she’s bad at grammar and spelling. Afterwards she came out of the main hall feeling suffocated by expectation and pressure. At least she could go and hide in the next session ‘Getting more from Google+’ she anticipated that it would be empty as everyone surely would want to attend the ‘Masterclass in Making Money from your Blog’? See my mummy isn’t really that fussed about making money from this blog *shock horror* you may not believe it, but this really is a hobby. (That phase was repeated over and over again during the course of the day to people’s disbelief) The Google+ session was going to be interesting as mummy wanted to know the power of it and what all the fuss was about. She wasn’t disappointed James Dearsley was fantastic and gave a brief but brilliant overview of Google+ in a simple and visual way. 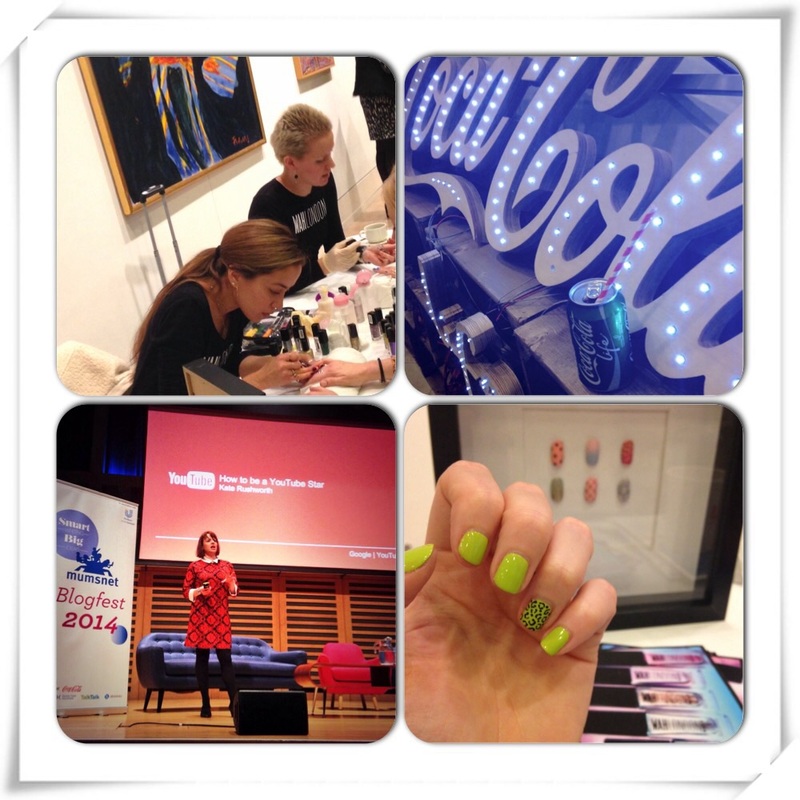 My mummy was dying for a drink afterwards and a bit of a break after absorbing ‘too much input Stephanie’, so started to queue to get a her nails done and soak up the atmosphere while the majority of the bloggers went into the ‘Think Bombs’ session on the main hall. It was nice and quite out here on the mezzanine level, she watch staff set up the yummy lunch and stopped by the TalkTalk stand. Before she knew it the masses descended on the mezzanine and foyer area for lunch. The decimal level increased and the chatting reached fever pitch. My mummy takes after my Grandma and likes to talk, however she dodged all the large circles of giggling bloggers drinking mulled wine in their clicky groups, others taking selfies and felt very alone, surrounded by so many people. Thankfully @Vaichin at Rambling Through Parenthood struck up a conversation in the Nail Bar queue and my mummy and her found some solidarity in being on their own and not in a large group. The queue was short when we joined, see my mummy NEVER gets her nails done, so this was a real treat and was the perfect excuse to people watch. She chatted to some other ladies, but never got their names as they whizzed past only stopping to perch for lunch at the glass table next to her. Finally after an hour plus wait my mummy got her nails done and it was worth the wait, they looked awesome and WAHLondon did a fab job, maybe next time they could do with some more technicians as there was a lot of disappointed bloggers waiting who never got served. My mummy grazed on her lunch (as she didn’t really feel hungry) and before she knew it is was time for the next breakout session ‘Advanced Social Media’ with the witty and fast talking Paul Armstrong in the main hall. My mummy really enjoyed this session and was amazed at Paul’s knowledge on new trends and platforms in social media, she really felt she was getting the inside track on TSU and Hello Bar. She took lots of notes. I looked at them last night and couldn’t make head or tail of them, her shorthand is awful!! She bum-shuffled up another seat to get a better view on the next masterclass ‘How to be a YouTube Star’ she was intrigued with what all the fuss was about with Vlogging and was even brave enough to ask Kate Rushworth a question, her hand shaking holding the microphone. Afterwards it was Afternoon Tea and Cake, this is the part my mummy didn’t really enjoy as it was the start of the ‘back turning’. My mummy was trying to engage with other people, by this time in the day, circles had formed, mulled wine was consumed and people didn’t seemed that interested in mingling. She felt disheartened. After a smile from my mummy gets rejected by a passerby, my mummy slinks off to the corner of the mezzanine level to hide by the Coca-Cola stand, again, not the wisest move, the girls at the stand were unfriendly and pretentious, looking down their noses while my mummy was trying to be nice and talk to them..anyone. She felt so alone at this point. Thankfully her smile wasn’t wasted on @snowingindoors who took her under her wing. They had the same sense of humour! At last the final sessions were about to start and it this stage my mummy was about ready to go home. This was the session that everyone was looking forward to. ‘The Power of Writing’ my mummy arrived late and wanted to get a good seat so foxtrotted over to the front. Meanwhile, throughout the majority of the day, a ‘ninja’ blogger called @needaphone had been tweeting my mummy, playing silly buggers and making her feel at ease. 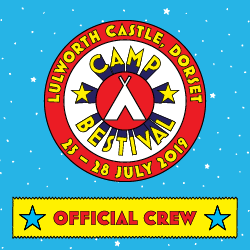 A lot of banter was shared and some stifled laughs during the keynote speeches saw shoulders rising and falling, glances and tweets of ‘what are you wearing?’ My mummy enjoyed listening to Harriet Kane and Nick Hornby, while the tweeting exchange carried on. Finally after Power of Writing session my mummy finally caught up with her. @needaphond was actually not a cat as the Twitter profile suggests but in fact Claire and she was great fun. My mummy sat next to her through the very funny and entertaining Lucy Porter closing speech. Through Claire my mummy met bloggers and tweeter extrodinaires Oliver’s Madhouse, You baby me mummy, pigeonpairandme she enjoyed a quick gin (or two) and hung out briefly discussing the day and her first impressions of Blogfest before heading back to Kings Cross in the rain with a overpacked goodie bag of treats with ramblingthroughparenthood. So in hindsight did my mummy enjoy this event? Yes for networking it was a great opportunity, but you have to be thick-skinned and confident in yourself and your blog to chat and carry a conversation. Sometimes if you have nothing to offer people or nothing in common a lot of the more established bloggers seem to get a bit turnt off. Which is a shame as we all had to start somewhere right? Will I be returning next year? I don’t know, probably not if the cost stays the same. 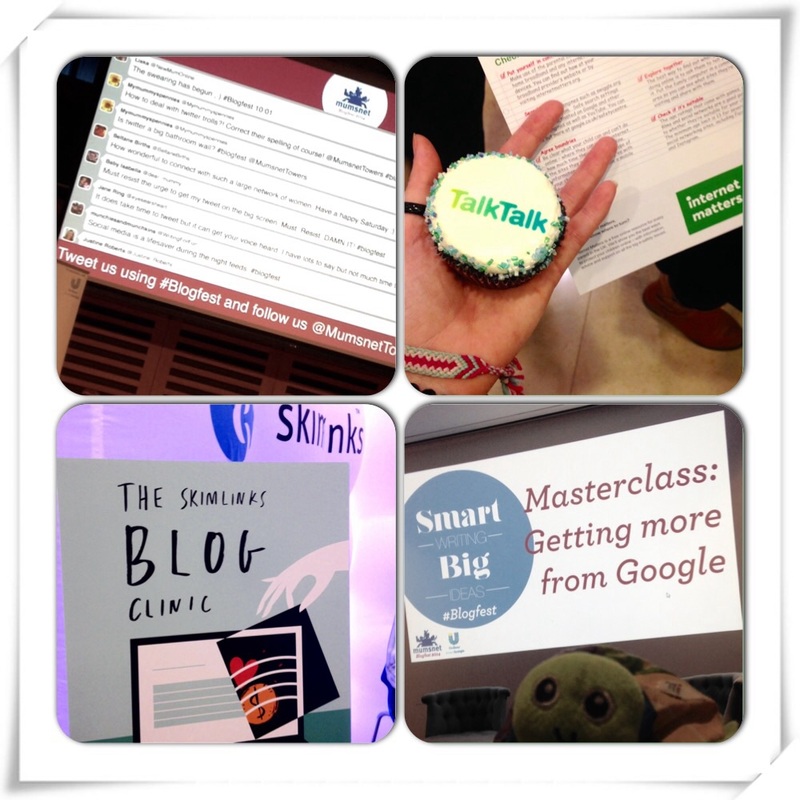 Blogging events don’t seem to be part of our world yet, they may never be and my mummy may never feel comfortable attending another one and we have to ask the question is it worth the stress? When my mummy got back from the big smoke she felt guilty, even though she was triumphant about being out of her comfort zone, she felt drained and at a lost. Today was a much better day, she was back in her comfort zone playing with me and daddy while we were out on one of our adventures. 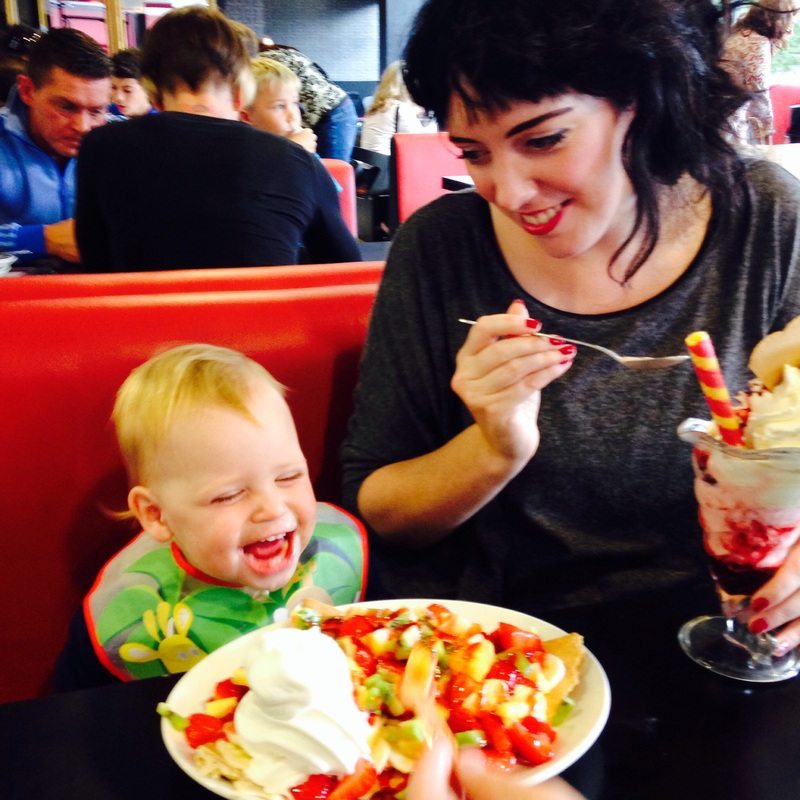 This is our world….professional blogging/networking may have to wait. 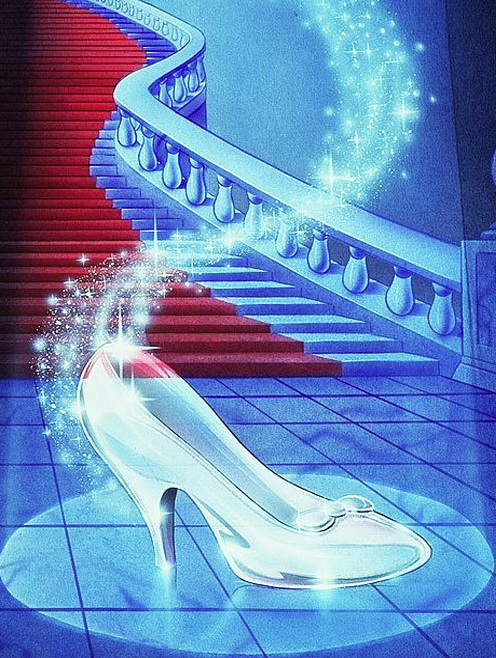 Cinderella will go to the BlogFest Ball! Dear mummy, eek! I’m so happy for you! A lovely fellow blogger over at MiniTravellers won a ticket to Mumsnet BlogFest via a competition online and gave it to you! This doesn’t happen to us, it’s like something out of a dream. I’ve known for quite a while that you wanted to go to BlogFest, but you couldn’t justify the price to daddy and yourself. You’d rather the ticket money go on a family day out or for me to be treated to something special. It’s not cheap you know! At £95 a ticket, a lot of fellow bloggers can’t afford it either. However, it’s well worth the price for what you get in return… A chance to meet fellow bloggers in person (all together) when you wouldn’t ordinarily meet your online friends, attending specialist talks which will help you learn ‘the way of the blog’ Yoda style, listening to guest speakers such as Nick Hornby, whose books and films you grew up with and hobnobbing with large national companies. It’s the biggest blogger networking event on the planet (well in our world it is). Until yesterday you were down in the mouth, trying to dodge happy and overjoyed bloggers which managed to grab BlogFest tickets, thinking how lucky they were…..now you are one of them. I know part of you feels guilty for going away to London and having a day to yourself to immerse yourself in something you love so much. 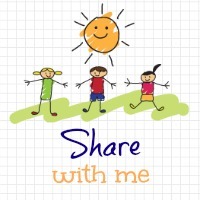 I know you will talk a lot about me, well, I am the reason you blog aren’t I? 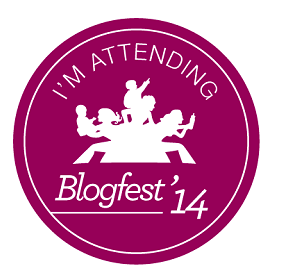 Unfortunately I’m too young to attend, I am the youngest blogger I know at 1+yrs, surely that’s an ice breaker. I don’t want you to be nervous as a newbie blogger going to your first BlogFest, hold your head up high, everyone is in the same boat, nervous about meeting strangers… Some of them you’ve chatted with for months! I know you will be looking for one blogger in particular, your fairy godmother, the one that made your BlogFest dream come true…Karen from MiniTravellers. There are many other people you’d like to meet too, it’s just finding out what they look like and chatting. I recommend take a photo of me and some business cards, until I’m old enough to come with you I trust you with my reputation and to act like my PA.
One word of advice….enjoy yourself and let your hair down…and remember to come back home to me and Daddy! 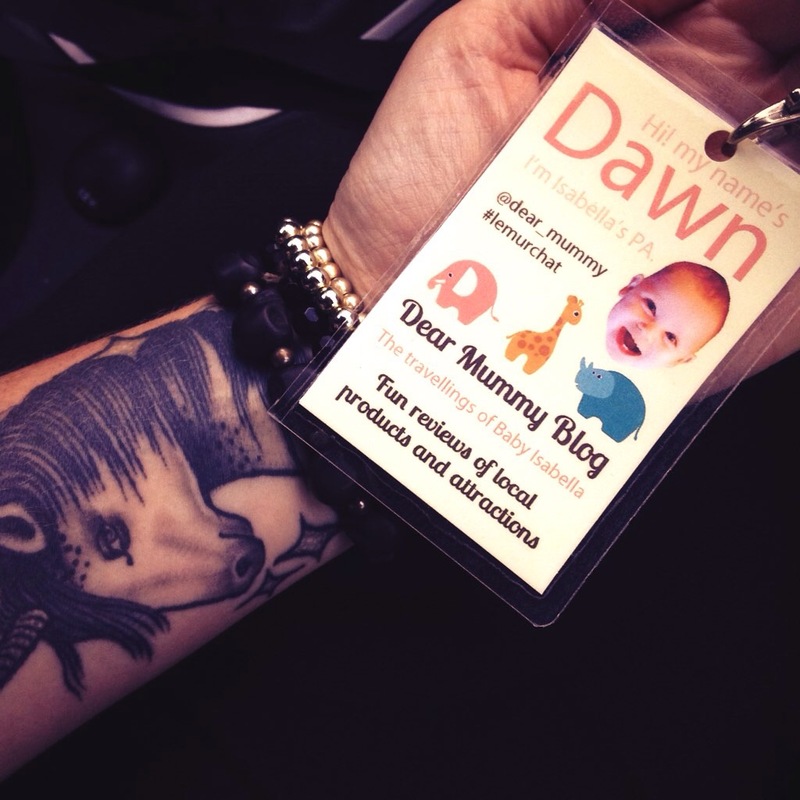 I don’t want you getting too big for your blogging boots and staying in the big smoke! Remember humble beginnings and why you are blogging, not for commercial gain or sponsored posts but because you love sharing what we get up to and showing the love to people, stuff and places we meet along our adventures. 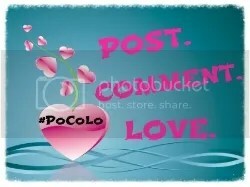 Our blog will always be an online scrapbook of memories to look back on when I am older and you are gone. I love you mummy, I know I can’t verbally tell you all the time but I can write it.